American author Sinclair Lewis predicted that when fascism comes to America, it will be wrapped in an American flag and carrying a cross.i Donald Trump’s “bigly” win as leader of the free world suggests the writer of the 1935 satiric novel It Can’t Happen Here was working with a crystal ball. Bullying his way through press conferences, invoking Nazi-like rhetoric in regard to his position on Muslims and Latinos, and verbally assaulting women, the champion of American supremacy may in fact be the singularly most un-American public figure since his dear friend, President Putin. In the spirit of Lewis, I too will make a prediction. I will tell the future of the lone Wolf of Fifth Avenue’s presidency by looking at the relationship between two variables — the economic policies of the USSR and the President’s hair. This connection foretells a future that looks decidedly, albeit not unsurprisingly, bleak. Hubris was at the root of the collapse of the USSR and it will be the fatal flaw of Trump’s leadership. The narcissistic impulses that fuelled the President’s run for office without informed analysis on viable social and foreign policy, while successful in the short-term, will bring his downfall. Trump’s very own coiffure is the warning sign of trouble ahead. That tuft of orange topping his furious head is acting as a command economy. As we saw in the Soviet Union, a command economy seeks to cover up the faults built into its system when faced with a free market based competitor. Similarly, Trump attempts to command his hair to hide his top-of-pate baldness, and positions the effect as desirable rather than dysfunctional. He makes use of artificial supports that ignore the natural exigency of his physiology to maintain the pretense of having a healthy head of strawberry blonde hair. 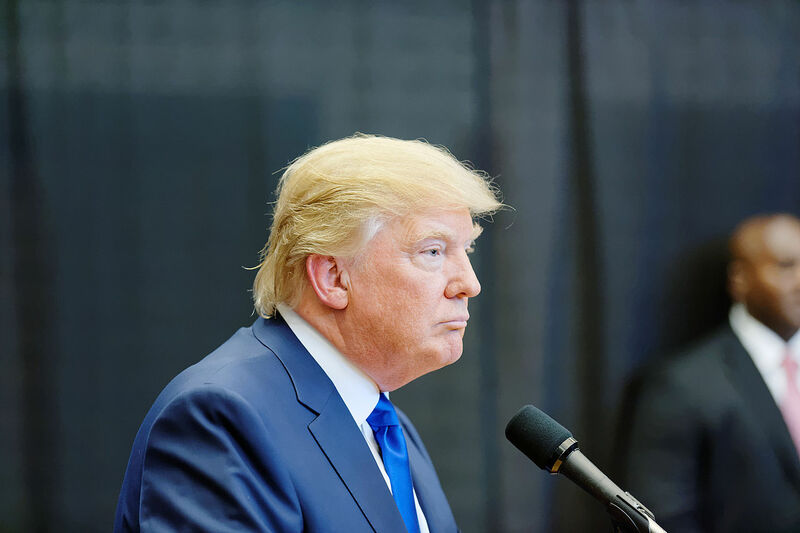 Trump’s duplicity to cover his baldness shows both a fault in approach and his viability as a political leader. Trump is vainglorious to the point of needing to hide his follicular challenge, delusional about the effect of his solution, and dismissive of the intelligence of the American people, let alone the world, to recognize what is clearly a bald head. Trump’s delusion is similar to the Soviet Union’s belief that their closed economy could generate the income needed to win the Cold War and sustain the needs of its citizens. It takes nothing more than applying the flawed principles of a command economy to Trump’s enigmatic hairstyle, to see that Trump is the ultimate emperor with no clothes. In viewing his impending reign with the knowledge that hindsight brings, it is clear that when forced to cooperate in the international system, Trump is fated to collapse, bringing America’s precarious hegemony down with him. [footnote]i Brickell, Herschel. 1935. The North American Review 240 (3). University of Northern Iowa: 543.